Tell me honestly… Haven’t you ever felt that you are feeling weaker by each passing day? That getting even a bit drenched in rain makes you easily catch cold? That a little dig in the ice cream on a cold night makes you burn with fever the next day? Or that your stomach starts burping and bloating without any noticeable change in diet? MAMAEARTH, the mama and baby care brand started by two aspiring parents to provide others the best, has some of the most effective​ traditional recipes, reinvented, to fit our busy lifestyles while delivering the same amount of goodness! DESCRIPTION: Traditional recipes. Feel better tea; tea to improve immunity and digestion. No caffeine| Non GMO| 100% Natural| FSSAI approved| Sourced from Himalayas. Becoming a mom is no cakewalk, acidity and low immunity can make it even more difficult. There are days when you just want to feel better. Well, I am here for you. Grab a cup of me. I will protect you from all the infections while strengthening your immune system. I also help settle the stomach, aid in digestion, and revive you for the day. A handcrafted blend of mint, ginger, chamomile and other soothing herbs, I calm those unwanted stomach issues while making you strong inside. Take a sip and get set for a day of smooth sailing. 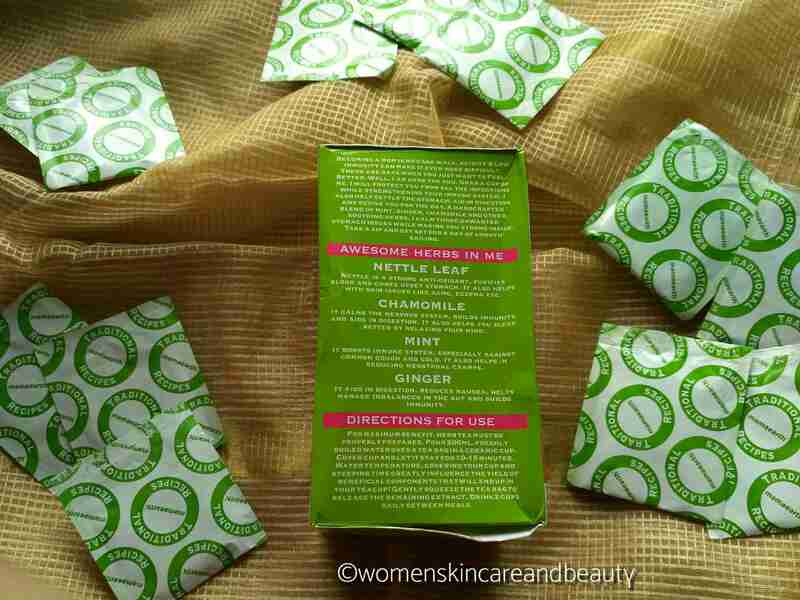 NETTLE LEAF- Nettle is a strong antioxidant, purifies blood and cures upset stomach. 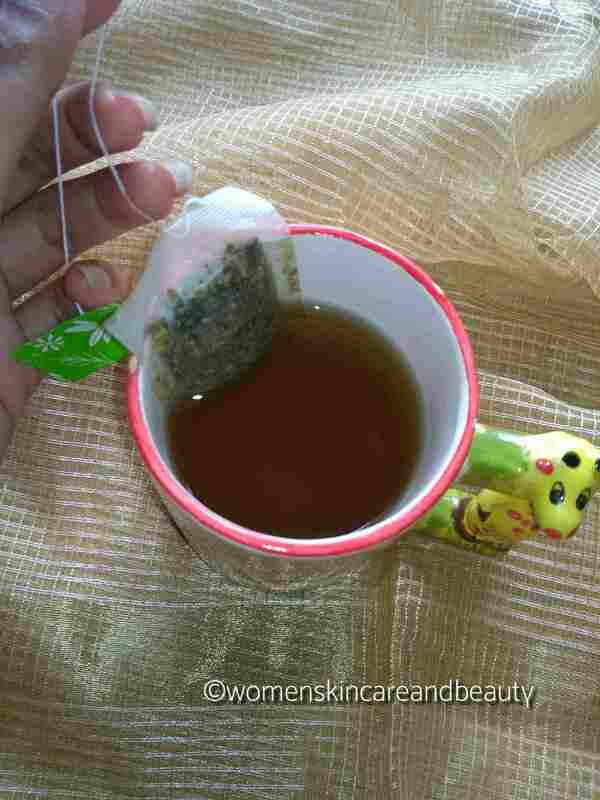 It also helps with skin issues like acne, eczema, etc. CHAMOMILE- It calms the nervous system, builds immunity and aids in digestion. It also helps you sleep better by relaxing your mind. MINT- It boosts immune system, especially against common cough and cold. It also helps in reducing menstrual cramps. GINGER- It aids in digestion, reduces Nausea, helps manage imbalances in the gut and builds immunity. For maximum benefit, herb tea must be properly prepared. Pour 200ml freshly boiled water over a tea bag in a ceramic cup. Cover cup and let it stay for 10-14 minutes. Water temperature, covering your cup and steeping time greatly influence the yield of beneficial components that will end up in your teacup! Gently squeeze the tea bag to release the remaining extract. Drink 2 cups daily between meals. • If you are pregnant or breastfeeding, please discuss the use of this product with your prenatal health practitioner prior to use. • Avoid use of this product if you have a known hypersensitivity to stinging nettle plants or allergic to plants within parsley family like fennel or dill. 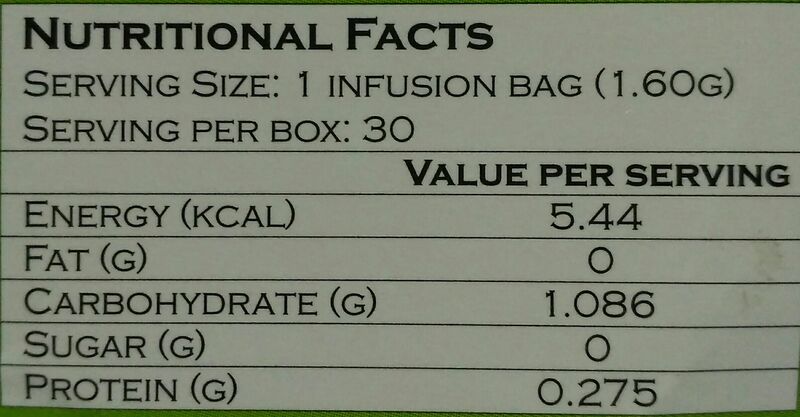 • This tea is not a significant source of vitamins or minerals. • Avoid consuming this product in the first trimester of pregnancy. • Under no circumstance exceed the prescribed dosage. 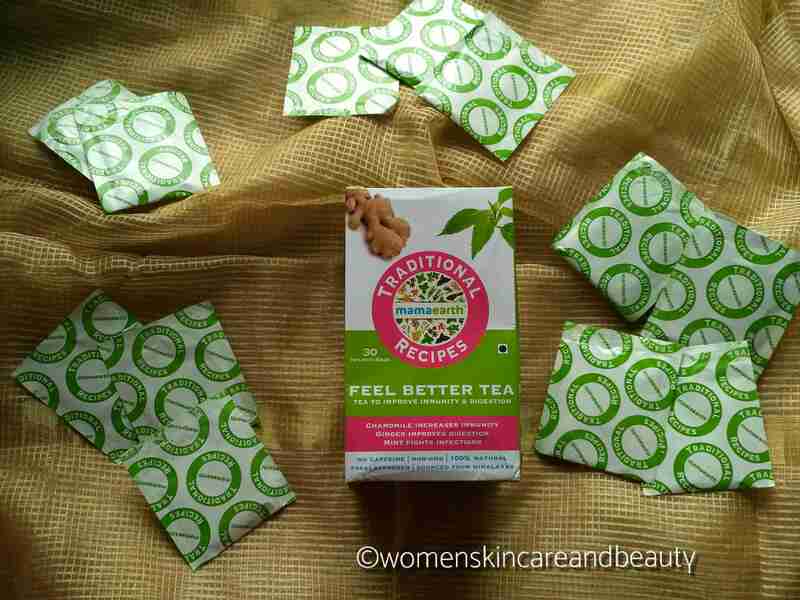 COST: INR 599 for 30 infusion bags. 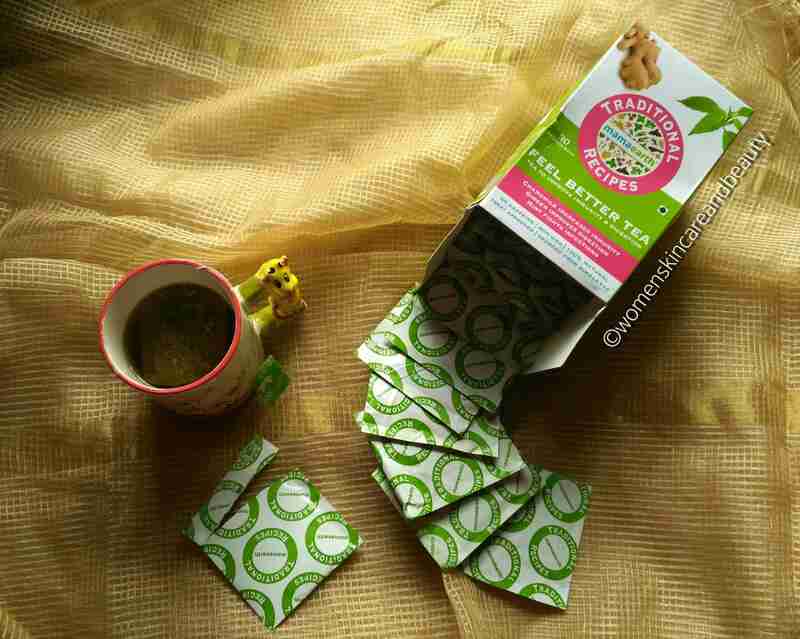 Inside the cartoon, there are 30 tea bags of the Feel Better Tea, each sealed individually in a green and white coloured paper sachet..
1. Easily available on Mamaearth’s website ,Amazon and Nykaa! 2. Hygienic packaging and travel friendly. 3. Mild and natural fragrance and taste. 4. Helps improve digestion and calms down the gut. 5. Helps purify blood and fights breakouts. 6. Has ingredients known to boost immunity. 7. Calms down the senses, promotes sleep. 8. Helps in reducing menstrual cramps and nausea. 9. Doesn’t contain caffeine or genetically modified objects and is 100% organic; perfectly suitable for the kids! 1. Might not be available in local stores. 2. Some people might find the price to be on the higher side, but for the amount of benefits it has, the pricing is apt! I have used the tea and i loved my experience with them. It’s quite refreshing and works well on acidity issues. Have checked this out and that’s amazing! Thank you for the share. I love the fragrance of this tea. It’s becoming a part of my routine now. Yes, we all need some feel better tea to be in the best of our health- shall try this out ! Seems like mama earth has slowly earned a good name among the mothers. 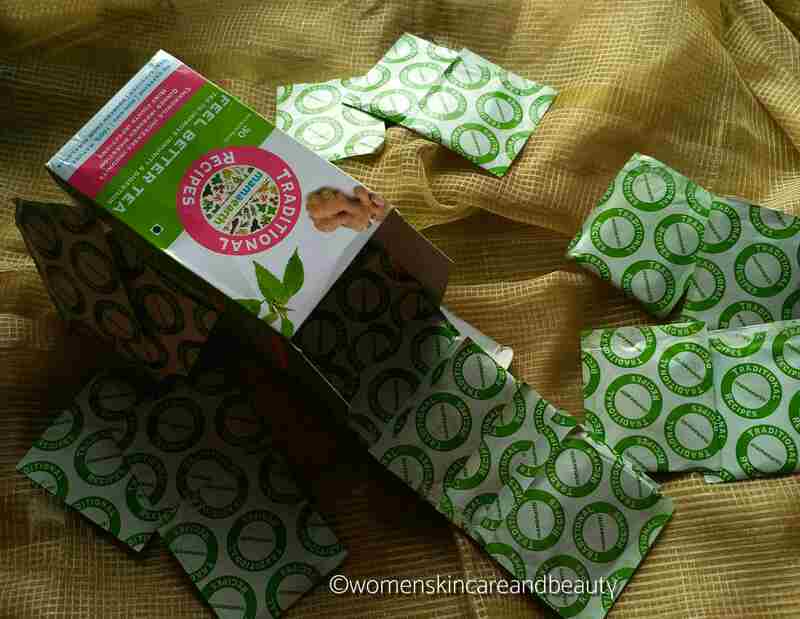 The mamaearth distress relief tea is also an aamzing product i am so addicted to it, i have it thrice in a day.!!!! 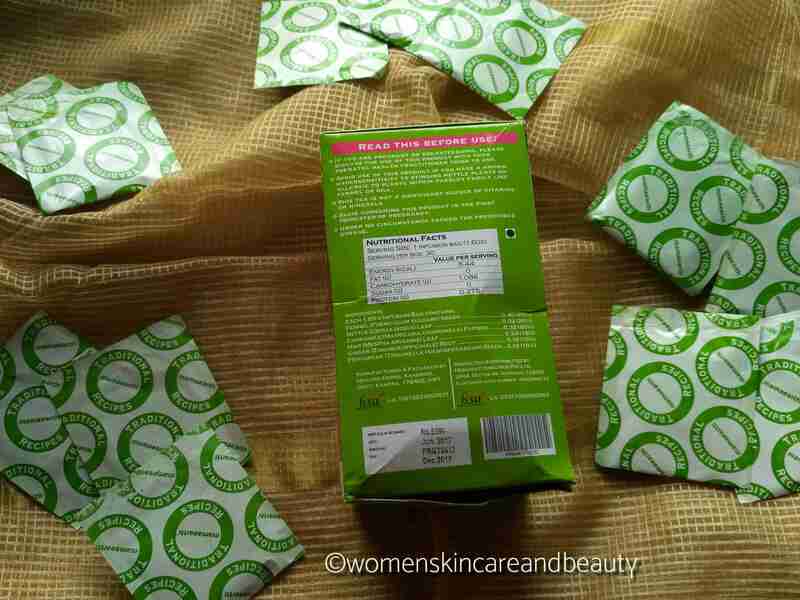 Another good product from Mamaearth. Would like to try it out. Even I am in love with thi tea. It is great energy booster for me. Lovely review. Mamaerath always surprise us with some great new products. this tea is a must for all mums. I have been having the tea myself and feel so relieved and relaxed. Very nice product. Great that it improves digestion! I’ll suggest someone who needs a tea like this! A good detailed review. Helpful how you have gone through the ingredients and benefits for each issue. A great thing in the form of tea which improves digestive sys., to purify blood, control frequent breakouts, good to reduces menstrual cramp. So good thing for new moms who have rarely anytime to look after themselves. So always faced digestive problem. Although the price is little high, but its better to take this tea to suffer digestive problems. Though i am not a new mom but quite interested to try this tea bqz i too have ibs problem. Nice review. Do try it.. I too have IBS and i love this tea!